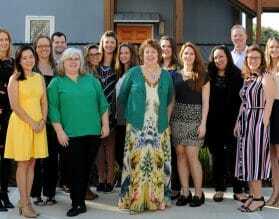 Leigh Landis, is our Finland expert. Her knowledge of Finland is really unparalleled. 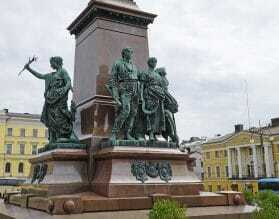 Although Finland has been an independent country for only 100 years (it gained its independence on Russia in 1917), its territory has been settled since prehistoric times. The Finns speak a language completely different from other Scandinavian languages but share their Nordic cousins’ passion for high standard of living and love of the outdoors (in any weather and temperature). Nature dominates no matter what the season and its Baltic coasts, thickly wooded terrain, and open spaces are only the backdrop to nature’s epic performance – the Aurora Borealis. Lapland, as North Finland is called, is a wild wonderland of reindeer, bears and Santa Claus, while the south of the country is the sleek and chic urban region where the country’s towns are concentrated starting with Helsinki. Wood fired saunas, dog-sledding and ice-fishing are juxtaposed an incredible tradition of music and the arts. 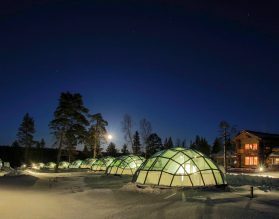 The Finns are just a little off-beat to make things intriguing – stays in ice-hotels, giant community smoke saunas, and blueberry cider are just a few. Don’t miss the Siida, an incredible museum dedicated to the lives of the Sami people, or the UNESCO World Heritage listed old town at Vahna Rauma. 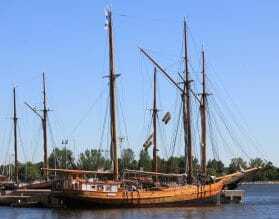 Wildlife lovers can head north to Oulanka, while history and culture lovers will get their fix at the opera festival at Savonlinna’s medieval Olavinlinna castle. Let Exeter International help you find your way through the Finnish heartland. 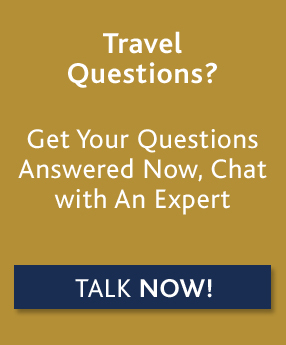 For custom luxury travel and tours to Finland, please contact one of our travel experts, or read on below for more information about where to go and when, along with our Insider's Guide. The best time to visit Finland is subject to what you want to do. Finland is a popular winter destination, when you can see the Northern Lights and experience exhilarating winter Lapland experiences such as husky sledding and snowmobiling and even visiting Santa! Spring is a beautiful time to visit, but for guaranteed good weather the months of June July and August are warm. Our team of travel experts can customize a unique program for you for travel in Helsinki based on your exact preferences and interests. 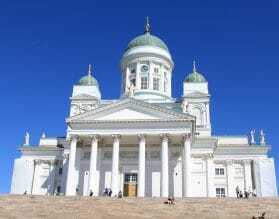 If you are on a Baltic cruise and in port in Helsinki, we can arrange a private shore excursion with your own Exeter hand-picked private guide. Our private shore excursions ensure that you’ll receive not only the best experience possible, but personalized service throughout, allowing you to maximize your time in port. Enjoy the freedom of driving yourself ? Finland is perfect for self-drive. Self-drive programs allow you to do just that with the help of a pre-programmed GPS delivered to you before you leave home and with the services of our 24 hour local staff. We can craft the perfect self-drive itinerary to fit your taste, pace and budget. Let us introduce you to the essentials of each city and give you suggestions of what to do on your own. Just plug in your Exeter pre-programmed GPS and let your adventure begin! 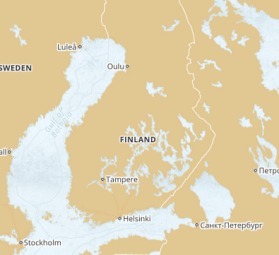 Sweden, Russia and the Baltic States are all easily accessible from Helsinki, with St. Petersburg just a 3.5 hour train ride away, and Tallinn a short ferry.